Are you ready for the most exciting adventure, where your goal is to save the world? You need to help the little brace ninja in his very important mission! Do you wanna to check your power and all your skills? Here you will have such a great chance. 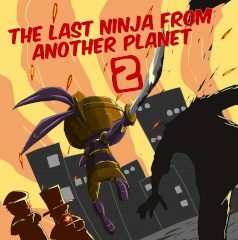 Our main hero the brave ninja has already killed all mutants and he wanted to come back to his planet, but one day he has heard the terrible plan of the mafia, who controls the planet. They wanted to occupy the whole world and all planets! Could you believe that?! So, as you have understood our courage ninja wants to save us! Your task is to help him at any rate! Sometimes this could be really hard, but do not be scared and do everything to save all planets from the horrible mafia!